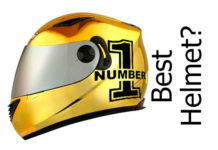 All motorbike helmets – and that includes the visors – are subject to rigorous standards and thorough testing before they go on sale in Europe and elsewhere. 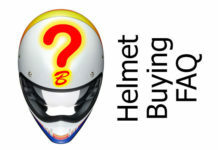 In fact – as you can see here – the word ‘visor’ is specifically included in the title of the ECE 22.05 regulations that all helmets have to conform to before they’re put on sale. "Visors shall in addition be sufficiently transparent, shall not cause any noticeable distortion of object as seen through the visor, shall be resistant to abrasion, resistant to impact and shall not give rise to any confusion between the colour used in road traffic sign and signals." And if you’ve been a biker for some time, you’ll know visors generally work pretty damn well. OK, some can be slightly better than others, but I’ve never bought a helmet with a visor that distorts so much that I’ve been tempted to replace it. 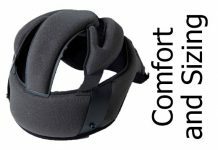 You can certainly notice distortion if you look for it – especially at the edges or when looking through it at an oblique angle – but most modern visors seem OK. So is making a special optically-correct visor a solution to a problem that never really existed? What is an optically-correct or class 1 visor? They’re visors that are designed to minimise distortion so your vision is clear and unhindered. The term Class 1 comes from a European standard for eye and face protection, where optical quality is graded in three classes – 1 to 3 – with class 1 being the best and suitable for prolonged use. Schuberth say all their helmets come with optical class 1 visors as standard. 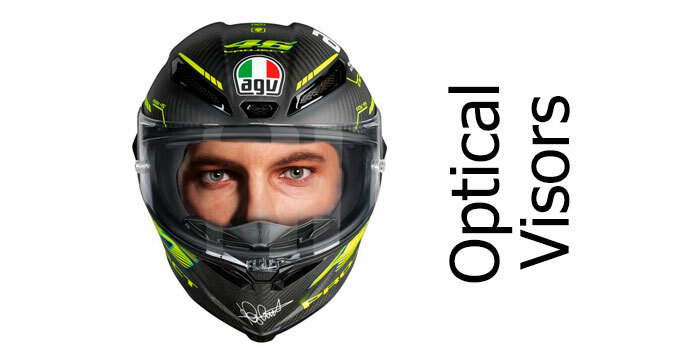 Bell too produce helmets with optically correct visors – as do AGV, Shoei and LS2. In fact, you can find all the helmets we’ve looked at with optically correct visors here. If the helmet you like comes with one in the box, then great. It goes without saying that clear vision is imperative when riding a motorcycle so having a visor that’s distortion-free is ideal. 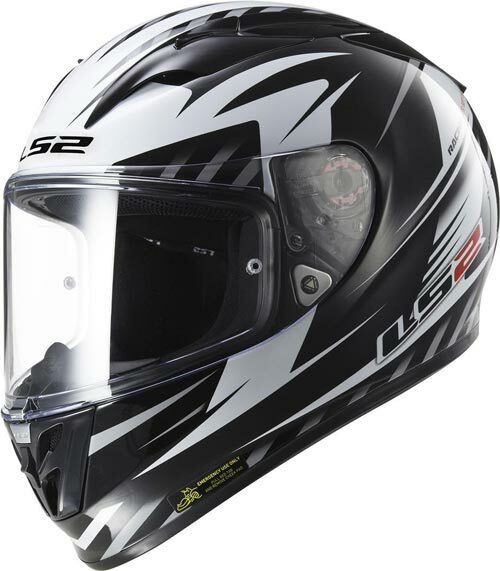 But most modern visors are very good anyhow and for most of us should be totally adequate for day to day riding. Our priorities should probably be more focused on keeping our visor in good condition – regularly cleaned and fog-free – rather than worrying about having the perfect optics. The only exception to that rule may be racers, whose finely-tuned peripheral vision and millimetre perfect judgements could potentially be affected by the slightly sub-standard optics found in regular visors. However, for the rest of us, it’s probably more of a ‘would be nice’ than a ‘must have’ feature.